Last weekend, it was a great joy for me to travel south and speak 3 times at the annual youth rally of the Church of Christ in Bayou Jacque, LA. Now don't get me wrong, the 10-hour trip of winding roads and endless miles filled with desolate woods in southern Arkansas and northern Louisiana was a challenge. But once I got there, oh my! The food! The fellowship! The faith! The fun! This event never disappoints. This year, I was especially blessed by the theme - "The Redeemed," Hosea 14:4. As part of my study in preparation for this event, I tried to consider the biblical definition of redemption. Hosea 14:4 was the assigned text and I dug deep to find God's message as presented within the context of Hosea's amazing story. I also tried to embrace the convicting illustration which Hosea and Gomer gave to Israel as well as the application that must be made by us today. To say this study stretched me and changed me would be an understatement. Concern: I truly believe that the prominence of false teaching and the preoccupation with entitlement faith has led most Christians to only apply half of the biblical process of redemption. Below is the first part of the material I discovered within my study and was blessed to present at the youth rally. I pray that it will help you find a complete understanding of redemption just as it has challenged and changed me. As a vivid illustration of how the nation of Israel had deserted God, the prophet Hosea was commanded to marry a wife of whoredom. He does so, but Gomer is not content and returns to her life of prostitution. Again, God labors to illustrate His great love for Israel and He tells Hosea to buy back the adulterous wife who had left him. Please notice the two parts of the redemptive process in Hosea and Gomer's story. 1. "fifteen shekels of silver and about a homer and a lethek of barley" - Hosea made the payment. 2. "You are to live with me … you must not be a prostitute" - Gomer was informed that full redemption was dependent upon her obedience. But how does this ancient story apply to us? 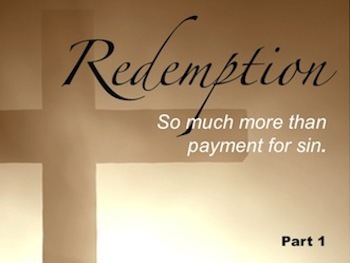 When discussing redemption, the element of payment is almost always the most emphasized part of the definition. Because we are certain that Jesus' blood has the power to cover sin, we tend to assume that His payment and our restoration are the same thing. Grace is misunderstood and the second area of the redemption definition (restoration) takes on an assumed confirmation. But here is a very important question: Does Jesus' payment for our sins automatically mean that restoration is also complete? Consider the most quoted verse in all of the Bible. Q: Are all humans saved just because He made the payment? Q: If the one and only Son paid for all the world's sin yet not all humans are saved, what does that say about redemption? A: It is possible for a person to have all his sin paid for yet refuse to make an obedient response that leads to restoration. Look at the passage again. 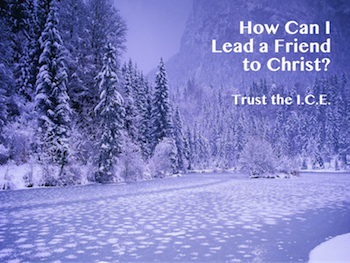 Notice that, just like in the story of Hosea and Gomer, there are individual parts to the redemption process. 1. "that he gave" - God made the payment. 2. "that whoever believes" - We must make the personal choice to honor that payment. 3. "shall not perish but have eternal life." - Redemption's restoration is complete. It's interesting to note that during the very first invitation of the very first sermon on the very first day of the church, the Holy Spirit encapsulated all three of these redemptive elements into one salvation process. "Repent and be baptized, every one of you, in the name of Jesus Christ for the forgiveness of your sins. And you will receive the gift of the Holy Spirit." 2. "for the forgiveness of sins" - Our personal choice to honor that payment (Note: When baptism occurs for any reason other than "for the forgiveness of sins," it does not appropriately honor the payment. Baptism must not be taught or accepted as an outward sign of an inward grace. How can a person be saved before their sins are forgiven? What does it say about the power of the blood of Jesus if restoration precedes the payment? Redemption, what a beautiful word! In order for the flower of redemption to come to full bloom, all elements of the redemptive process must be complete. Payment is only part of the journey. We know the blood of Jesus has sufficient power to pay for our sins, but are we willing to accept restoration through obedient appreciation for that payment? Gomer was bought back. But it was only after she heard, understood, and complied with the words of her husband that she found full redemption. We must do the same! We must make it real! Redemption - Part 2: "Intention"
Back to Top of "Redemption"